Today I’m happy to be hosting day 4 of Mara Price’s virtual book tour for her bilingual picture book, Grandma’s Chocolate. Illustrated by Lisa Fields and published by Pinata Books, Grandma’s Chocolate tells of a beloved Grandmother’s visit and her stories about the chocolate she and her granddaughter enjoy sharing. Thanks, Mara, for answering some questions and letting us get to know you. 1. What was the inspiration behind Grandma’s Chocolate? Thank you for asking this question. It brings me back to the smells and flavors of hot chocolate and evokes happy memories of growing up in Mexico with my grandmother. We drank chocolate every day, on special occasions and whenever we had company. We made different drinks of chocolate in winter like champurrado and atole to warm us up. Chocolate is also a central ingredient of mole, my favorite food. Ever since I can remember I have been fascinated by history. I learned that pre-Columbian cultures in Mexico were the first to use many things we take for granted today, including chocolate. Thus, chocolate and my cultural heritage became the vehicles to tell this story of the love between a little girl and her grandmother. 2. 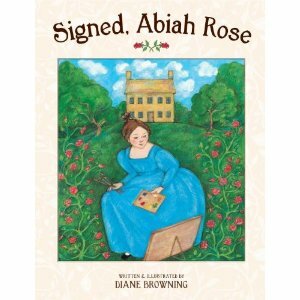 Did you write and/or draw as a child? If not, when did you begin? I wrote poems as a child. Rhyming words was a game that I liked to play. My grandmother and I had a lot of games with words. I remember making little silly stories in Spanish where all the words would start with A and the next person tried the same. The longest story and the one that made most sense won. The stories were often funny and we laughed a lot. We played this game using many letters of the alphabet. It was a nice way to enrich my vocabulary. I have also liked to draw since I was very little. I remember often drawing a house with tile roof and prickly pear cactus with red fruits. Sometimes I would draw the same house with tulips in the garden. I often enjoyed drawing dolls and fashion clothing, as well. 3. What is the best advice you have been given about being a writer? Less is more; keep it simple. 4. 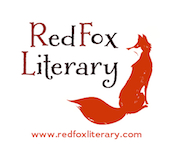 Do you write for other formats? I have done a little bit of everything. My first stories and illustrations were published by Iguana children’s magazine, in Spanish. I had the honor of doing an interview of the late Bill Melendez, the award winning Mexican animator, at his studio in Sherman Oaks, California. Iguana has kindly continued to accept my stories and drawings. I have been a member of the Society of Children's Book Writers and Illustrators (SCBWI) since 2001 and I submit articles and illustrations to the SCBWI Newsletter. Los Bloguitos is a bilingual blog for children who speak and read Spanish. Among the pieces I contributed was a biography of Picasso. I wrote El Corrido de Los Bloguitos, a ballad in Spanish. 5. What books influenced you most when you were growing up? Were you an avid reader? My mother would read to me about the Olmecs, Mayas and Aztecs. As long as I can remember I have been fascinated by pre-Columbian civilizations. I remember walking with my grandmother to the second-hand bookstore where we got "new" books in exchange for ones we had read. I loved Jules Verne. I also liked comic books! To be honest, I never actually saw a children's picture book when I was growing up. 6. Are you working on a new project? Yes, I am working on new projects for children's books and magazines. I'm looking forward to finishing a series of little illustrated poems for Iguana. Diane, thank you for the excellent questions. It was fun visiting with you. 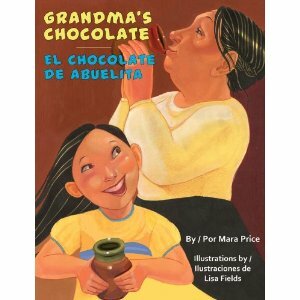 Follow the rest of Mara Price's virtual book tour for Grandma's Chocolate/El chocolate de Abuelita, listed below. And please leave your comments – there will be a book giveaway at each stop on the tour. At least four comments are needed to be eligible for Mara’s giveaway. Good luck! Check out Mara’s schedule or find more information about her at her website. Oh, thank you for sharing this. GRANDMA'S CHOCOLATE sounds wonderful! Thanks for the interview, Diane. Hi Mara - how interesting that picture books were not a part of your own childhood. I do think PBs have a dual and different appeal to both children and adults. I look forward to reading your new book! Wonderful interview, Diane & Mara! xo & good luck to my friends! Diane, thank you for hosting day four. It was a pleasure visiting with you while doing these interviews. Thank you Angela, Sarah and Suzy for your lovely comments. I enjoyed reading about Mara and what inspired her book. Sounds like a tasty read! Who can resist chocolate? Mara, I enjoyed being part of your blog tour for your delicious book and learning more about you! Thanks everyone for visiting and reading about Mara.